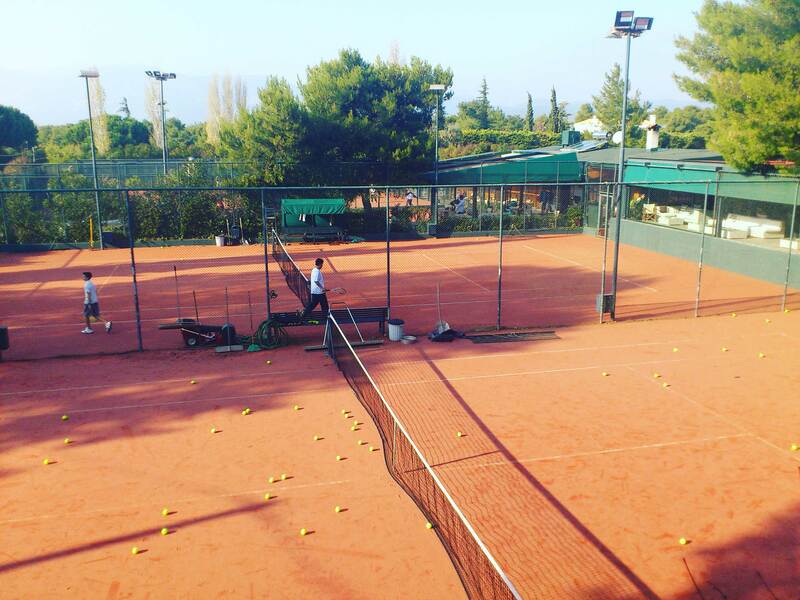 Situated in one of the most beautiful suburbs of Athens, on 47 Thiseos Str (extension of the well known Kifissias Avenue), Loubier Tennis Club is surrounded by the green environment of northern Attica. Operating since 1983 it has gained an extensive recognition by the tennis community and amongst its 100+ members you will find some of the most well known Athenians. Tennis – the most demanding and creative personal sport – is the cornerstone offering of Loubier Tennis Club offers five court with ARTIFICIAL CLAY ADVANTAGE RED COURT. The artificial clay of the Dutch company Edel Grass combines the playing characteristics of the clay courts with the minimum maintenance demands of the syntnetic carpet surfaces. The Advantage Red Court is certified by International Tennis Federation (ITF) as a category 3 surface. Ball speed (bouncing) and slide of both player and ball, simulate to an 80% grade the relevant factors of the european red clay courts. Loubier Tennis Club welcomes seasoned or recreational tennis players daily, from 09.00 a.m. to 00.00 p.m. For those needing lessons on the sport, the team of experienced coaches will be more than eager to either introduce them to the sport or improve their skill and correct their flaws. The changing rooms, offering personal lockers for storing your gear and refurbished showers, allow for preparing for your day after your game. Loubier Tennis Club is also a suitable place for the rest of the family. Whether for watching your relatives or friends compete against other members in friendly matches or during the club’s tournaments which are organized twice a year, is a pleasure. Specially constructed areas offer protection from either winter cold or summer heat and allow spectators to relax while enjoying their favorite drink or light food by the fully-equipped restaurant / café / bar of the Club. And as time has proven, Loubier Tennis Club will become your favorite pass-time and relaxation spot.